The affiliate program at Wealthy Affiliate is one of the most lucrative, recurring commission structure affiliate programs in the world. In this video I am going to be walking you through the various elements of the affiliate program and giving you an overview of the following sections. This is a high level overview and there are many other training resources available that elaborate on these various sections within the affiliate program. If you ever do have any questions about ANY aspect of the affiliate program moving forward, please do let me know in the comments below. I dont understand yet , why people keep following me ? can you advise plz ..
Am overwhelmed with the amount of infor and tools available for WA affiliates to build their business. Hope Kyle and Carson you both will help me walk through this maze step by step. Picture is beautiful with the numerous tools and ammunition. However how to make good use of each tool is the essence. Am frightened by the amount of set ups and communications one has to deal. But guess this is what online biz entails. Lots to learn. Hope there will be lots of hand holding as a starter. We will certainly be walking you through this step by step. Unlike conventional education, you will be able to "earn while you learn" as you will be building your actual business as you move through each level. I feel you, it does look overwhelming, but I definitely believe that what ever struggle one may come upon, there is always help out there to get one over that hurtle. I just joined yesterday and feel the same way, but I’m going to dive in and see how many mistakes I can make! Seriously, I’m hoping it all clicks at some point. I've dabbled in Network Marketing for the past 5 years and while I like NM and love alot of the products out there, I've always had a greater interest in placing my focus on affiliate marketing. So I'm going to go all in on focusing on WA and see how much I can accomplish. My dream is to help many, many people completely change their financial future! Excellent to hear Alice, I really look forward to seeing you progress. Your experience will certainly help you from a marketing side of things, but I know you are going to really fall in love with the affiliate marketing model. I agree with you, the idea of affiliate marketing "done correctly," which WA I believe does, will not only change our lives but help other's financial goals come to fruition and help them to achieve what they thought only could happen in dreams. Finally going to do this. Since 2015 when I joined this has been the How-to site I run to, I haven't picked up the ball and run with it. It has gotten easier over the years to do and join and get going. I kick myself that I didn't carve out the time from my life to do this. But past is gone. Onward and upward. I can do this. Time to pick up the ball and run with it (and don't stop). The sky is the limit and you will unlock your potential if you work hard and stick with it. I really look forward to seeing what you accomplish now that you have focus and motivation Michelle! Exactly my situation too. I am retired now and hopefully I can grow up in this way. I have looked into the cyberspace and am convinced that a good business can be built. But I have not been able to get someone to teach and guide like what I am hearing from Kyle. Am old too and don't have much to invest. Hope after initial investment this can be self generating. Thanks for the opportunity. I believe there are several of us out there that think this way; sometimes it just wasn't the right time, but we'll make now the right time and make every step going forward a step closer to achieving our aspirations. Wealthy Affiliate didn’t exist for me until my sponsor found me checking on the legitimacy of an investment program online. He engaged me in conversation on that program and we concluded that the entry fee to get their investment advice was not good value for money. He asked what my goals were. After I responded I wanted to boost my fixed retirement income he wondered if I had heard of Affiliate Marketing. I had, but didn’t know where to start. Tim invited me to check out WA with the promise no credit card was necessary to try it out. I would be given a full weeks free trial of the complete platform to kick the tires and see if this was right for me. On the 7th day I accepted the bonus and upgraded to Premium! Tim then offered me a bonus if I decided to go Premium within a week. My first months fee would be reduced in half. If I took longer upgrading would still be available but I’d have to pay full price. I did have the option of staying on as a free member as long as I wanted, but with reduced access to the products and services offered. Tim advised if I was serious about building a profitable online business, going Premium made the most sense. The bonus option would be the best path forward. WA was definitely right for me. I had never come across any online business building course offered at such a low price. I questioned if there were future upsells lurking in the shadows. I was assured there was none. For a low monthly fee I had access to everything there. Benefits also included 50 free siterubix websites and hosting included in the monthly fee. I could even purchase my own Domains at bargain prices and have those hosted too. Being a newbie, I didn’t know about all the training and help available. My first niche was to offer low cost legal and identity theft protection to customers. Hence I began the OEC path as that offered the tools and lessons to help me create an online presence to market these services. I am a slow learner and only just completed Level 4. Having applied for and been accepted to participate in the Super Affiliate Challenge, I now have a conflict. Should I pause my activity in developing my legal and identity theft business, or do both in parallel. As I continued through the OEC Level 5 and continued with building my website, I racked my mind trying to decide what to do. After receiving Kyle’s second Super Affiliate message, I decided to do both. I just started Bootcamp so I’ve got some catching up to do. When I created my business website, I also marketed WA. I can learn from that. My goal is to make at least 300 Premium sales this year so I can qualufy for the Las Vegas trip in 2020. One of the reasons I wrote my story how I found WA, or more accurately, how WA found me, is to use+much of this material in my Super Affiliate website I will be creating in this challenge. This is such an amazing opportunity that success is the only option! The beauty about the affiliate marketing business is that you are in full control of the direction of your authority sites you build, who you help, and you can choose from over 550 MILLION products that benefit them as an affiliate. I am blown away by the value & the wealth of tools that are encompassed in WA. I really do not remember all of this from the first time I approached WA several years ago. I really must have not been taking a thorough look at it. So much capability. Just all-encompassed. I don't think you will find this level & this value elsewhere. Looking forward to using the platform. I can't help but think that it will be very hard to rank on google with all the many people who are probably already taking the keywords related to affiliate marketing and wealthy affiliate, reviews, work from home etc... I hope there is good training on this and how to drive traffic effectively. In the past I have wasted thousands of dollars on google, Bing and 7Search ads that produced little to nothing. I have spent a lot on Fiver too...Looking forward to your solves. It isn't as hard you as you think. There is competition in every niche, but there are also millions of keywords that you can target in any niche, many of which will have next to no competition. 7search is a scam. If you are using them, stop. They don't get traffic, nobody actually uses that search. One big reason these 'pay for searches' companies are worthless is that they don't send you specific e-mails for the type of niche you are involved in. For example, you might get a list of 25,00 emails, but only 25-50 might be interested in your niche product/service. You don't have to be good at tech stuff to be very successful online. That is the reality, we have remove all the "techy" stuff for you here at WA through our own platforms and technology developed within our state of the art environment here. I feel confident as I head into the WA Affiliate program now that I have seen the inspirational video that let's us know that we will never be left to our own devices. With the mission of the company well in my mind at this point, it is the company for which I have been looking for the last 10 to 20 years, Most people who are interested in making money are in it only for the money. I am so thankful that your company was based on a commitment to your affiliates to have-their-backs. Thank you. I look forward to working with you. Well I am so glad you found us. We are truly different than anything else in the industry, we care about you and your journey moving forward. I look forward to working with you Sharolyn and if you need a hand with anything at all moving forward let us know! This seems to be a good platform to invest but I m very unsure of pulling it as I am from health dept & many of the facts related with it surpass my head!! How n when I will be able to bring some output is really questionable to me!!! Although the video was good!! I agree, kinda like you just need someone to hold your hand and its all good. Proper training and so comprehensive with the definite result to earn, as you move on through the system! In the past, I have wasted money, I could ill afford, as a retired teacher on a pension, being duped by those so called "gurus", who tell you that you can earn fortunes online, but, hay, I have never made a profit. Please , as a member of the WA family, do not take notice of these, hundreds of emails, but, now that you have found the WA training platform and all those WA members willing to help everybody, go for it, follow the training, follow your dreams and hopefully we will all meet at the WA Las Vegas Affiliate Conference in the near future. We run things differently here, we truly care about each and every person here at WA and we teach what works, based on experience and based on the reality of the industry. Something that you don't really find out there these days. I agree. I have been looking for this for a lot of years. Don't worry Christian, we are going to be walking you through the process as you move forward through the training and teaching you every thing you need to know. There is no need to be scared, and every reason to be excited! My passion is in helping others and I believe this is the avenue that will get me there. These videos are really incredible. I am getting more hopeful of being able to help change and impact people's lives by referring this. Just signed up in the last 12 hours and making my way through the training to see how I can solve problems for people by referring it here... as well as solve my own challenges. I'm liking what I am seeing so far! Welcome, and I know this is just what you have been looking for! This training is so clear and easy to follow, don't you think? Hey there! Welcome to WA! You can do anything you put your mind to. WA has so many tools and support. I love this platform and have been in other e-commerce platforms that don't compare to this whatsoever. I am following you, and lets network and help each other as well as give this gift to others. Do you mind us adding this video to our site in our review? If not, do you have training on how to do it? Would love to use this as a way to show off everything WA has to offer (instead of taking 4,000 words to describe it all). If I cannot use this video, do you mind me creating my own and using that? Thanks so much! You can link to any of the videos here at WA, we don't actually have a feature that allows you to integrate because the videos are to be kept here within the community. But by all means, you can link people from your site to this video using the Affiliate Link feature. With a limited amount of time I believe that this is a better way to go for now . 1. To build a website that will be successful. 3. This will really keep me busy. Yes, that is the process and that is what you are going to be learning and doing as you move through the training. I really look forward to working with you Bert! It is already so helpful knowing the steps you have to take! In the beginning it feels very overwhelming because you can see the end goal but there is a lot of work to put in before getting there. So glad that you have accepted the challenge! Look forward to seeing you progress and meet your goals! You can do this! Stay focused! Good luck! Thank you for the helpful information in this video Kyle! One question I have: my niche for my first site is on worship and leadership devotionals so I dont feel like I would be able to tie in affiliate links. Do you recommend going forward with this niche and attempting to combine WA onto it or would it be more effective to start a different niche website? Thanks everyone who can help! There are many ways to monetize a website once you have traffic, promoting something through affiliate marketing is just one way. You could generate revenue by putting ads on your website (Adsense, MediaVine), or you could build an email list and monetize it that way. In saying this, there is likely going to be a great deal of commercial "intent" within any niche and many ways in which you can monetize this niche. Thank you for the information. After writing and submitting I realized that going through all the training would have probably answered this question. I appreciate the patience! Yeah, lots of your questions will be answered naturally as you move through the training but definitely don't be a afraid to ask questions if you ever need a hand. You have lots of help here. I just joined your followers because i noticed your niche is along similar lines to what I am trying to set up my initial website. Will be interested in following your journey and give and take ideas. Please note site is undergoing reconstruction at this time. Changing theme and adding content topics. Wonderful! I look forward to learning from each other! You will not only survive, you will "thrive". You have a bright future ahead of you here within WA. I can relate. Onward to great success! This opening webcast was ever so informarive & simple? If only I had watched/llstened to this before I had a relapse in my ongoing anxiety sickness,before my last serious attack, perhaps I would be much further forward with my plans for the future, short though that may well be?? The upshot of my last relapse, is that I was able to discover much much more about affiliate marketing, before my memory was jolted back to WA as a result of reading about it elsewhere??? You are going to do great Roys and you have a community of help and support here to give you a hand every step of the way (and to lean on if you need anything). I really look forward to working with you! If anxiety is your problem, I'm betting that by focusing on this program, you will be very successful materially and emotionally. Go for it! On the status page, I noticed that the website referrals was 0 throughout the week, where is traffic coming from? In my example of how I landed on your page, I clicked on a youtube video to investigate a certain company is legit. and then clicked to check out your opportunity. How is traffic driven in your case? You are going to drive traffic in many ways, SEO (getting ranked in search engines) is going to be the primary focus early on, but there are paid methods of getting high quality traffic as well. 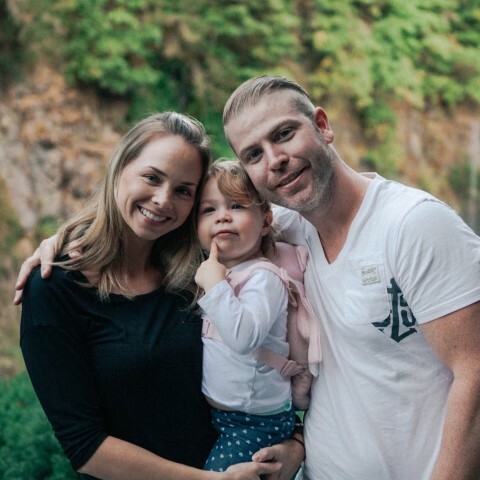 Like Kyle said, your traffic is going to be driven in many ways, all done according to the training you'll learn here :) Everything you build here will be built with the intention of helping your target audience find exactly what they're looking for. Just as you said, in my case, I created that particular review so that people researching that platform could find a better alternative, in this case WA :) You'll learn all about driving massive traffic to your content through this awesome training. Keep it up! Hie thanks again for this great business opportunity my question is do my starter membership expire after 7 days and If refer people during this period will I get paid monthly even if I do not upgrade to premium membership. Can I also start selling on Amazon ebay etc as a starter member. Hello Pardyrich,firstly, your starter membership doesn't expire in 7 days what xpires is the bonus where you pay 19$ instead of 49$ which is premium membership fees we pay every month. Secondly,as you have 2 free website as a starter member, after building your website you can sell on Amazon or Ebay being starter because there is no condition to be premium at Wa,it is your choice. Do know that this is not a "trial" as your Starter membership does not end. Your Premium communication is for the first 7 days, but beyond that you will still have access to the community, your websites, and training. Upgrade at your own pace and what works best for your situation. I know you are going to love the training and community here at WA and of course, feel free to ask for help if you ever need anything Pardon! And yes, you are going to be able to promote whatever you want on your website, Amazon products or otherwise. Do these classes add to our rank? I reason I ask is that I am not sure I can be active in the community and do this program as well. this program will be my priority, Do I need to let go of my ranking for the time being? I video has easy to understand and I have raised my goal to 300 for 2019. Just started the Affiliate Bootcamp, and I have already been inspired to a lofty dream. I have expanded my consciousness and set a goal of 3000 sales. The commission structure and training of WA can take you wherever you want to go. Dream Big, and "lengthen your stride." I must say, you have mastered the ability to simplify the complicated. Not only that, I love the transparency. I just spent about a week on a competitor's site cramming information into my head, only to come to the realization that there would be a toll booth around every corner charging me more money to unlock the next secret to success. That is great to hear, glad I could offer a lot of clarity Don. Expect more of the same style of training as you move forward. The thing is, we know what we are talking about, we have lots of experience online, and we teach what works (and avoid wasting our time on "hypothetical" stuff). Kyle, it was staring me in the face and then I had an ahaaa moment. My niche is going to promote Wealthy Affiliates! Because i have searched for in depth traiing all over the internet, this totally makes sense. Already, i have tons of people I am thinking of as referrals. Awesome. Sure, you can definitely head in this direction and of course if you are going to head that way, you want to head through the affiliate bootcamp. I really do look forward to working with you! I have been tumbling around for a number of years looking at various internet opportunities which often ended in pain and lack of results. This seems a to be my opportunity to follow a full template guided setup. I had a similar question to Ernst below about having multiple irons in the fire. His question was regards having both Niche sites and Affiliate sites running concurrently. That question was subsequently answered in the positive. Seems like a good plan to build a residual income using affiliate sites while also following the Niche path as it evolves. Well things are about to change now that you have found WA. Niche websites and affiliate websites are the EXACT same thing. All affiliate websites are niche websites, and on any niche website you can promote affiliate programs (but there are many ways to monetize your traffic outside of just affiliate programs). If you are overwhelmed, just ask someone In the community. We are here to help, we are your new family. I am a beginner just like you, but I have a degree in web and graphic design. This is still the best platform to begin your journey that I have found and I have been buying stuff that hasn't worked until I discovered WA. I have came this far mostly on my dumb smart phone. " Never give up and never surrender ". This the best platform online. Absolutely, that is what we are all about here. I love your approach to business, those that quit...fail. Those that never give up are those that always create amazing success within the online world, or offline. Boy, that was a fast trip. I see a ghost start at the top of the page, on a black background I clicked on it and it stated My Favorites, what are my favorites. This morning I had problems returning to the last place I was before I took 15 min. breaks. Is there a button or tab to hold my place so I won't have to spend 3 to 6 min. looking for my page? If you click on the Training tab, you can see the history of the training that you are working through (if you don't want to use the bookmark platform). Thank you. Took me a long time to say thank you, I was away from my computer for longer than I wanted to be. How long is the cookie life? meaning once a person signs up for free how long are they yours if they upgrade? What about contact with the referrals that are inactive or unresponsive to posts and messages on this platform? And once they are members are their rules about outside contact? That is awesome and yes truly unique. The lifetime cookie! Are there rules about outside contact? Permission to come aboard Captain! Great questions, all. Liked your profile. Will reach out on FB in a bit. You look like a true pro not only in all things internet, but in life. You have done a lot! I have done many things as well, but spent most of my time at the USPS as a Letter Carrier. Life's lessons are hard to learn, but stay with you. Good luck, looking forward to working with people like you in the future. Powerful video, stay glued to it for the secret but not so secret affiliate power tools. The first program I joined to have both robust conversion tracking but also a CRM or customer retention manager built into the back office and please note that Kyle spells out the potential for offering your own incentive for upgraded memberships. I'm looking forward to putting these stats and tracking tools to good use and the conversion tools will help me fulfill my evil plan to rule the world! We have put a lot of thought, time and resources into our affiliate program. But we are definitely not stopping there as we have lots of exciting things to come! Thank you for the walk through video it is very helpful. I’m very excited to get started on this Affiliate program. Thank you again Kyle & Carson for this great opportunity, and to my Wealthy Affiliate community for the support, kindness and help provided to me thus far. So looking forward to working from home and upgrading my lifestyle !!! Gladly Susan. I know you are going to love the affiliate program and all of the training you have here that will walk you through the various platforms and getting you creating your own sustainable and long term business online. Keep us updated with your progress moving forward! Thank you Kyle. It is abundantly obvious how hard you have worked over the years to make WA the amazing platform that it is. It is also wonderful to be able to have this available for the Low, low, cost of membership. I am going to promote the heck out of WA. I look forward to seeing any people taking advantage of this “incredible” opportunity. THANKS! We have certainly invested a great deal into the platform over the last (almost 13 years), but we always feel we are just getting started because we are always working to improve, evolve and innovate here within the platform. We have a busy schedule of releases as we move through the remainder of 2018 and into 2019, so lots to look forward to. I look forward to working with you and if you need a hand with anything, please let us know and we will be m ore than happy to help you out. I tried a program, 6 years ago, but it was really confusing and I was in the percentage that gave up on it. for a lot of different reasons, but one of them it was too much. In just the short period of time I have been on WA, I have learned way more, and I'm enjoying it! I do have more time, less stress, and less obstacles in my way now, and my motivation is out the roof! I too, like so many here, have had the same experience that you had. The most important thing to get out of your comment here is that you didn't quit. It's easier said than done, I know. You and so many here have unique talents that they don't know about until they put them into action. A friend told me that knowledge is excellent to know, but acting on that knowledge is equal to success. Yes, you will fail and fail a lot, but many fail to realize that from failure comes experience and knowledge. And again, from knowledge comes success. Thanks for posting your inspiring comment, Kelly. I just watched the video that comes with lesson 1 of the boot camp and the topic was promoting WA for fun and profit.m This was a really interesting lesson and i am happy that I will be promoting the program tom start out with. My only standing audience are my friends on Facebook but ironically I have two sites affiliated with Facebook that are empty and unproductive at this moment so I will use one of them to promote WA. As i am nearly totally handicapped with my knowledge of computer technology. i shall learn a lot through this simple exercise So away I go!!!!!!!!!!!!!!!!!!!!!!!!!!!!!!!!!! Don't worry, we were all green to this when we started out Joseph. You are going to gain and understanding as you move through the training and take action on that training. I really do look forward to working with you! The walk through was very thorough. It is much like another program which I had recently joined prior to joining WA. I see where there are many differences, but a lot of similarities. WA is better for it is a community and asks us for goals and it has the community of other affiliates to help work through any issues/questions. I am thinking that I mistakenly hit upon WA while trying to work in the other (e-mail processing) program. It asked me to log into Payspree and when I attempted to go to the website an error message popped up. I am glad it did, on the part that said no longer exists would I like to continue? I did...and it took me here. I am so happy I am here now!!! I am also very thankful that this program is laid out much better and look forward to utilizing all the tools here. Walk through was pretty comprehensive and give a great look at what tools and opportunity that WA offers. I am sure there is a lot of compatition out there promoting WA but just from first impressions WA program itself has a lot to offer and I feel good about the chance to promote it. So many programs out there have such a high price point and I doubt they are that much better or should I say even as good as WA. I had one that you could spend as much as $5000 to be able to join. This is the first time I have tried to enter this arena of affiliate marketing and an online business but have spent tons of time "watching" youtube videos of how you can make $1000 a day. :) I have done so much research whether to do drop shipping of affiliate marketing that I finally had to take that first step and just do it. I think I made the right decision coming here and now just have to get it done! Can't wait to get my first sale but also want to learn as much as I can so that this can really be a business and really prove to myself and all the naysayers around me that this is possible. I'm not setting unrealistic goals but $1000 a week would be pretty sweet. You are definitely in the right place Scott, you are going to learn how to PROPERLY build a business here at WA (and do so within any niche of your choice). All of the tools, training, resources, support/coaching, and networking are available to you every step of the way! I agree with you. WA is an amazing platform. I just started, and I have never seen anything like it. We can do this! This is by far THE BEST affiliate program I've seen! If a person is on the free service, (let's say for 3 weeks) and has 3 or 4 people sign up for WA, will they be able to communicate or send them a message? I noticed I only have 1 day left for community support on the free service. When I first signed up I was not aware there were only 7 days this was offered. When I got around to setting my profile and started training etc. you can imagine my surprise when I was locked out. I was happy you offered me an additional 7 days. Gave me a sense of urgency ;-). I also know I'm an idiot not to just sign up for the premium service but I made a promise to my wife. That promise is that I will not spend a penny on a service that doesn't FIRST give me a return on my investment equal or greater than the amount I invest. You have communication for only the first 7 days, so within WA you wouldn't be able communicate with them as a Starter member. You would be able to leverage your automated messages though within your messages tab. It would make sense if you were getting this volume of referrals to be a premium member anyways, something to consider. Something to consider, when someone joins as a Starter they have access to the community, expert coaching and support and even the ability to communicate directly with Carson and myself (the founders). If people want to sustain that, they can go premium which is a nominal fee for that level of support alone, not to mention everything else here, the training, live classes, research platforms, websites, and hosting platforms, ability to network with over 1.5 million fellow entrepreneurs...it goes on and on. Great to have you here at WA Allan and thanks for your kind words. I know you are going to continue to love your stay here as you immerse yourself within the community. It appears that I can just add a banner anywhere on my site. I was thinking I had to build a new site and feature WA? Is it that simple? If so can I just start adding banners to my sites here and on other sites I may have it I choose to? Yes, you can add banners anywhere on your website. I would just be careful about overuse of banners. And if you plan on promoting WA, I recommend you create a website that is dedicated to this and this niche. OK thanks good advice. I added a banner on pinterest on a board. What do you think of that. It seems out of place somehow but can be easily removed if needed. of people. I am always feeling the kindness when I read the replies. determined to stick with WA. At some future point I believe the picture will become more in focus for me. We definitely are, we are here to help you every step of the way. At any given time there are a lot of experts available to you here within the community, willing to give you a hand. I was looking for online possibilities when I came upon Jay. path. Within a few weeks I went to annual. I am still very impressed with WA. is capable of doing many things. It definitely is the place to be if you are looking to create and grow a business online. Absolutely everything you need is here at WA and I really do look forward to working with you! and then he will know what I am learning to do. Wishing for the best. Sounds good, I hope you can get that situation sorted! Just keep trying and asking questions and before you know it everything will fall into place. I also have the need to improve on my computer skills. My confidence with the WA puts me at ease. Great video and thorough explanation of what to expect as we start to promote this awesome platform. From reading the posts I can already see that these videos get updated as the technology changes, then the updates are made to the site. If there is one thing that annoyed me the most when I was on a paid marketing site, was outdated or difficult to follow videos. Everything here in WA so far has worked like a charm and has made things super easy for me to follow. Thanks, Kyle, I'm moving right along. Yeah, we are constantly updating the training here and adding new training. You literally have access to 1,000's of training resources here, 100's of live classes, 100,000's of discussions and over a million+ people that you can network with. If I am a Premium member and then get someone (let's say Debbie) to become a Trial member at first and she fills out a profile and description under my "cookies" or direction, and then later (maybe 6 months later) she (Debbie) goes premium, do I get paid for that? Also, what if the Premium member (Debbie) that I originated or brought in signs up a bunch of Premium members, do I get a portion of her sales? Thanks so much. I want to go to Vegas!! Any free referrals you bring in, you will get the commissions on that member for lifetime as long as they are a Premium member. Even if they upgrade to Premium, cancel and come back later. That referral is yours for life. The affiliate program here is not tiered so you only earn from the referrals you personally bring in. I had thought about creating a website on photography but I'm stuck as to a specific niche within photography. Then I clicked on boot camp and just started to view the first video. I wonder if its recommended to just select boot camp or create the photography website. Is it better to just concentrate on one? I don't know anything about affiliate businesses and as for photography still learning. What are your suggestions? I'm on the starter membership. I was in your place sometime back and at times I am overwhelmed because i only know my subject, yet we just need to jump into things to get the ropes and sails with the winds. Just jump in and take time as I am quite steadily taking it myself. when in doubt re watch videos re read the previous section to see what went 'missing'. I think as a starter you should focus on your niche first (photography). Follow step-by-step courses, take actions as instructed, ask questions whenever you need more information, and so on. You can try to start a new niche, like Affiliate Bootcamp after that. When? It depends on how is your activities during in Certification. Let say at least 3 months, but it is tentative. You are the one who should consider about it. In the short term, get ready to be a Premium Member if you find that this platform is useful and able to guide you build an online business with a proper way. I too much was struggling with picking and making my website for my niche and then saw the affiliate program. I feel this is a good starting point to gain the experience from and then later you can build a 100 other websites and promote other products if you wish. I a couple of questions, one about pricing and some about the website platform. First, I am interested in paying my yearly fee up-front rather than being charged $49 per month. How much is the yearly fee if I do it this way and How much will I save? Regarding the website platform, is it WordPress-based? If so, can I tweak the CSS, install plugins, and do anything else I can do on a WP site? Yes, SiteRubix uses WordPress. With the Starter account there are some restrictions, but with Premium there's pretty much no restrictions in terms of customization. There are a few resource-heavy plugins you won't be able to use, though there are not many that fall under this category. I don't think there's an official list anywhere, but if you plan on buying a premium plugin, you can message SiteSupport to see if they actively ban it. You won't have cPanel for editing your files, but you can access everything via FTP, and there are tutorials here on how to do that. Yes it is WordPress based. I have a question. I am based in Europe and can see that there is a 'co.uk' website for Britain, are there any other websites for individual countries in Europe? Is everything only available to English speakers or do you have websites in other languages? Many thanks in advance for your answer. Yes, there are other country specific TLD's (Top Level Domains). They you work alright if you are targeting only people in the country, but I recommend if you're trying to target a global audience that you consider a .com domain. A .co.uk domain is only going to reach people that are located in the UK. So by choosing a Country specific domain name, you can really cut out a massive audience (billions of potential customers). Hi... my one question is...Do you need to have 300 active Premium referrals at the close of the year or do you just need to open 300 referrals during the calendar year...i guess my question is if I sign up a premium referral that leaves after 4 months does that count for the 300? You need to have 300 people that sign up for Premium during the year. They do not have to be active at the end of the year. Thanks for answering this as I was going to ask the same thing. That is good and very achievable. @Kyle - I want to tell you how much I appreciate seeing you actively interacting with everyone delving into this endeavor, it's a nice change of pace! For myself, this is an attempt to succeed in saving my life, and to learn how to help others that are in the same or similar situations as far as health issues go. This also is my attempt to succeed in teaching those same people to do the same, as well as teaching them the tools to become financially stable and more, as nobody that's facing mortality wants to leave their families with the massive burden of financial ruins. So, I should say you might get tired of me after awhile, bc I'm determined to make Wealthy Affiliate the tool of success, as I've spent way too much $ on scams left and right, so with my eagerness I'm definitely not shy in asking for help or guidance, lol, so I'm sorry in advance (maybe that's a better way of saying that). Thank you again for being such an active part of your business and in teaching others how to achieve their goals! The audience that can benefit from the platform here at WA, is incredible. You certainly can take part in helping folks with in this given industry and I know that you can look inward at a lot of your experiences and offer unique perspective and help to those looking to create something more for themselves, and to create a sustainable long-term business online in absolutely any niche. I really look forward to working with you and Amanda and please do keep us updated with your progress moving forward. Learning should be an enjoyable experience and not full of "fluff"! Very comprehensible and easy to follow instruction are key elements in enabling someone with no experience to duplicate another's work. Concise and consistent terminology are a couple more. Being a "newbie" here at WA and having been through "the ringer of life"< I believe I can accomplish the goals I have set. Enjoyed the Video and it is lucrative! Another great, informative straight to the point video Kyle. Thank you so much. I have not had much time for WA lately due to other issues demanding immediate attention but I am keeping track of the Super Affiliate Program. Yesterday I got another domain that I will use to promote WA. I should have started Bootcamp before but I was just focused in the Certification Course. No questions so far but they will probably appear as I progress and start creating my new website. Very clear and easy to follow, this is the second time I watch this video, first time I watched it, I think I was so new to Wealthy Affiliate and to online business I didn't pay much attention to important points, today this video is more relevant to my work and online business. Absolutely, your focus should be HELPING people and building a business. That is the focus of the training, the Vegas trip is just the side effect of doing so. I look forward to working with you Eric and if you need a hand with anything at all moving forward, please let us know! Awesome video, I am excited to get started learning how to share Wealthy Affiliate! I have found Wealthy Affiliate to be extremely helpful in getting my website started. It is like online school and I want to make sure I can be a part of it and learn as much as I can. I really look forward to working wth you Melissa and congrats on going Premium! I was a Premium Member of WA but for some unknown reason I thought there was a better Affiliate Program, so I canceled my membership. As I looked for something better, I soon discovered how wrong my thinking was and renewed my membership. Trust me, WA is the beat Affiliate online. I have created a siterubix website for the affiliate marketing exclusively. What I want to know is if my domain name which I purchased Petrichoresis will be hidden from everyone or visible? Incase I decide to switch . For training I will keep it on site Rubix . You can share your domain as you which. If you bought a domain, you will want to build out that website as your OWN domain is preferred in terms of ownership, branding and overall rankability. If you change the domain name from your original name, you will simply want to update your headline of your website to reflect that. So you don't need to keep the title as is you can update it. It is important to go through Kyle's training videos and lessons. Each lesson forces the learner to take a few actions until at the end of the course he finds himself with an amazing website that earns money. So learners - go through all the courses to ensure your success. Absolutely, go through the training and take action on the tasks. That is going to get you creating a business online and as you move through the training your skillset will continue to advance. Absolutely Kyle. I am echoing my own experience. I joined WA in 2015 but unfortunately had to suspend my premium membership to help my wife in her newly acquired restaurant business. So back to 2015, I went through the starters training (or part of it) and within 3 months i had set up 2 wordpress websites on the basis of the WA training, all without any coding. One very important thing I want to emphasize is that the WA training overcome not only technical challenges, but also psychological challenges of starting an online business; I am talking of the fear of starting a new venture, the procrastination, the perception that affiliate marketing is difficult, the lack of expert knowledge in marketing, social media issues, content creation. I also had hosting outright at WA and starting a wordpress is a breeze. I just had to plug in and create my websites. Once you gather the knowledge, and you have some good contents, images, videos ready, initial website creation can take just a day or two to be published. That said I am back at WA, active again because of my positive experience. I just wanted to share this. Thank you for sharing your experience. My family was in the restaurant business for most of my younger years. It's a lot of hard work. How is your wife's restaurant doing now? I have tried about 10 years ago to make money on line and spent quite a bit and lost a lot. This program looks to have great training showing YOU how to do it the other ones wanted you to pay for them to do it. Also I am more focused now as I have no choice so willing to work willing to learn. Yes, the program here will help you to learn affiliate marketing. 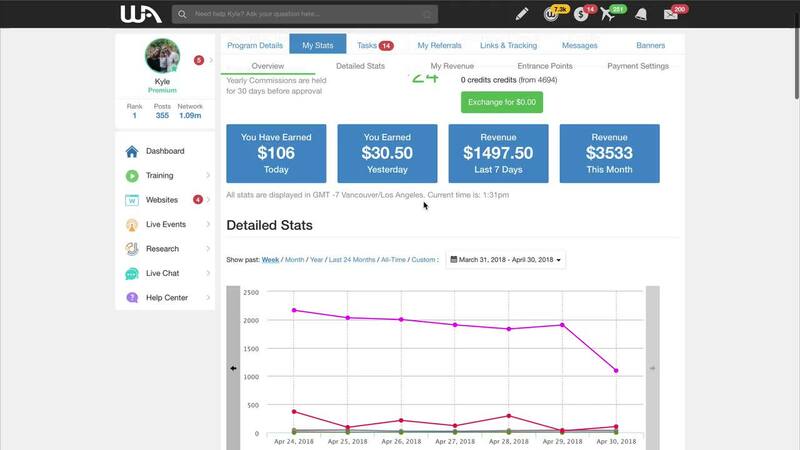 The Starter Program even has affiliate payouts. I haven't seen another program anywhere that does this for the free members. The further I go into this training the more I love it. The automation, tools, and tracking ability are just awesome! I have been a member of other training sites and none have been this thorough. Getting more and more excited about never giving up on the dream of working from home and earning a real income. See you all in Vegas baby! I've been a member for a few months now and I just now decided to start the Bootcamp. While I haven't made any money with my website I really enjoy WA, and I believe in it. The walkthrough is very encouraging and I am excited to become an affiliate of wealthy affiliate! Treat your website like a business and it will become just that. Through time and as you build out your business in 2018 it will start to become an authority and you will start to see the fruits of your hard work. Keep me up to date with your progress moving forward Ricky and let me know if you ever need a hand with anything at all. 2018 can and will be an incredibly bright one! Thanks for the encouragement Kyle. I will certainly keep you updated. Wow, the walk through video is very motivating. Awesome program Kyle. I wish I had looked into this program earlier. As you may know, I'm already a premium member so I have that working for me. Well I guess it's never too late to get started so I'm on my way. Thanks for showing me yet another way to make a living here at WA. Looking forward to joining you in Vegas. The trip sounds awesome. Glad you enjoyed the walk-through and as you move through the bootcamp, I really think that you are going to enjoy that training as well. The training experience in the starter membership is so comprehensive and revealing about internet/digital marketing - I can think of so many people that need to just go through it for exposure. It can enhance personal and professional development - so I definitely want to promote and encourage development - it helps with career competitiveness. I am very enthusiastic about my premium upgrade. To receive an incentive from WA to eLearn and help others develop is an extra bonus; I also believe there are so many individuals that can benefit from creating their own website and blog - particularly to monetize a hobby or interest; even if they begin with an online virtual garage sale and use it as a holiday/spring cleaning technique for some extra income... Seems much more productive than some other activities individuals engage in. If it can be done on eBay, Amazon, Etsy and Craigs List....why not build your own brand and explore for yourself. Your own website endeavors + WA incentives for referrals - great steps toward financial freedom and stimulating the economy. Everyone can benefit from the platform here at WA, because everyone can create a business online. That is the reality of our economy now and actually where it is headed. People are going to continue to earn more and more money online as more and more people spend a larger % of all of their money online. Thanks that sound very interesting. I did not realize that WA affiliate program was so intent and if someone wanted to make some good income it very well could happen. I am looking forward to moving on and get started to see those stats change from 0 to $$$. Again Thanks, great video. Looks really promising, going to give this a shot! Very well explained! I am excited about the make money online niche. I think I figured it out Kyle, I think my first site should be making money niche' promoting wealthy affiliate so that I make sure I am not getting distracted by any other shiny objects. That way I can learn and earn. After I have mastered my own back office, WA program, and what value I have here; and this would be the same value someone else would have here in WA...then and only then should I focus on going to another niche. I feel like WA is worth my time and attention. I found in the past when you try too many things or presented with too many things you kind of get confused and off track...especially being new to the online space. This is actually one reason why I have stopped my facebook promoting right now because there you will most definitely get distracted with shiny object syndromes. People are selling you something every day via inbox..lol..
Plus, there are so many scams out there and trust me I have invested a few thousand into a program that now I am thinking; I wish I would not have done so, but hey everything happens for a reason and now with that experience, I will be able to help someone from going down that same road. Sounds like you have a good agenda lined up and you are correct. There are many shiny objects out there and there're a lot of people constantly chasing them. I really look forward to working with you and seeing your business take shape Lakisha! Thank you for this article. I will definitely read it, Kyle! I'm working on the Certification Courses also. I'm quite overwhelmed with all of this. I've built website before, & I've tried to do affiliate marketing but had NO idea where to start. Read all kinds of books on how to get started as well & still have had trouble. I've realized here with WA that if I just take one step at a time I'll be able to do what I want to do. Well you are going to be walked through the proper process as you move through the training and I know you are really going to enjoy things. I look forward to working with you! Hello Kyle. I just completed this task on the WA Affiliate Program. Even though it was very top line info, it provided me with what I was looking for to help me move forward with Affiliate Bootcamp training. I also noted the large volume of new people joining daily and want to be involved in helping others like me. My question is: I am just about complete on Level One of the Certification Courses. Do you recommend for us to split our time working on both Courses or to concentrate on one or the other exclusively? Thanks so much and I am excited to be here. Kyle, looks like I found my answer below. You recommended concentrating on either Bootcamp or my own niche. I have learned a lot in my short time here and I will be moving my emphasis to being a WA Affiliate. I am looking forward to it. Thanks again. Great question I finished the online certification but all along my niche was MMO so I'm going through the Bootcamp now. No harm done I'm sure lol. I am as good as every new member earlier and the best part I am taken up the option to give a try on WA platform after wasting my time on less than fruitful wasting money after money for a few months on the programs that in truth a whooping expensive total in monthly combine figures. It took almost a month for me to swallow and understand all the early learning pieces at WA. Too scared to write even the first line of the paragraph. Kyle keeps on pushing me to start the writing, to start to believe this content writing stuff is not a rocket science to be afraid of. He installed on me all the positiveness that myself earlier have my own doubt. And to learn and being pushed by someone that already been here long before me, are the stuff I will ever grateful for. So, folks, talk your time, walk the stuff one by one before too long you even realized your first content writing is the blog post that you could only proud of. I am just like you and you are just me in the early phase at WA. Cheers! I think I want to concentrate on my own niche but would want to promote WA too. Could I just add a banner to any website I have and a page in the menu where I talk about it and then let things run from there? I'm very excited about working in the two or three niches that are on my mind but want to offer this opportunity (WA) to others too. Would this work? I'm a starter member and currently I have 1 referral. How I can get commission from him? Because when I check on my stat, it still show my next payment is $0.00. Can you help me about it? Because I'm still doesn't really understand about the commission. How can I get commission by referral? Is't my referral need to upgrade to premium membership in order for me to get the commission? I have been wanting to get into affiliate marketing for a long time, but just couldn't ever figure it out. I am so thankful to have WA in my corner now. I sit at work watching the clock because I can't wait to get to a computer and study more. There is so much info to take in, but I'm blown away at just how WA has this planned out. Reminds me of my introduction to algebra. Every other term or technique is novel, but I am in no hurry and will advance as the dim lights flicker. Eventually, I hope, these novelties will become useful old hat and lights will shine within this old brain. Good marketing to all. I read this: "If you click WA affiliate link on the left you'll see your affiliate link copy and paste it to friends family or even strangers in social media. They click the link you get the referral best wishes!" Someone had to help me FIND the links. I am not sure which ones to use for Facebook and Youtube? Not ready to put it on my website. At the top you will see your affiliate link. This is the link that you want to share with your friends or family, and that you will you're using to promote wealthy affiliate. This is your mean affiliate link that will drive people directly to wealthyaffiliate.com homepage. I hope this clarifies for you here! Thanks for the very informative videos Kyle! what would be a fast track way to gather referrals online or otherwise? There isn't a fast track per se. Any part of this business takes time to see results. If you want to promote WA you should take the affiliate boot camp: Getting Started!